The new owners of this home in Woodway wanted to put their own, unique stamp on this large home and update it for entertaining. 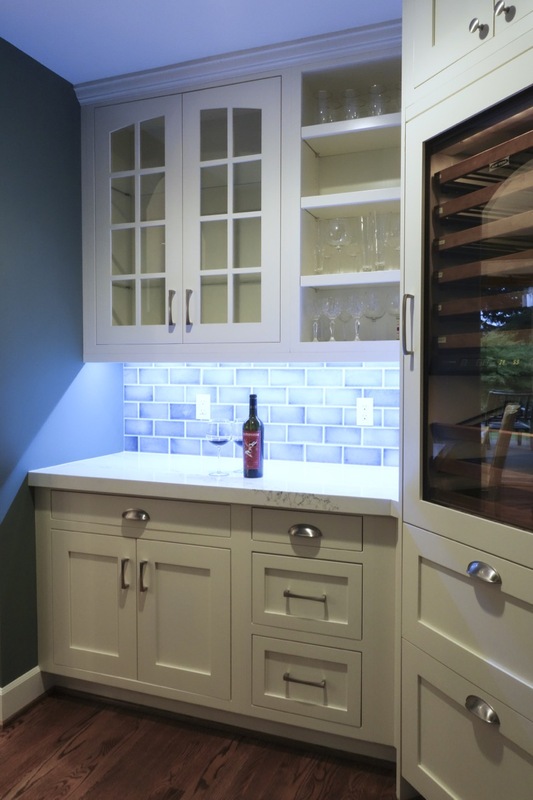 The extensive remodel included a completely redesigned kitchen with white cabinets, butcher block island, quartz countertops and handmade blue subway tile. The elegant yet fun powder room has an underlit LED countertop, gorgeous ombre tile backsplash from Encore Tile and hand-hammered sink. Master bath remodel includes limestone tile, bronze finishes and a large shower. The master suite features the walk-in closet of their dreams and beautiful new furniture. The back yard was updated with an extensive remodel that included the addition of covered outdoor living space with Timbertech decking and a bluestone paver patio. It was a pleasure to work with my clients to find all the unique finishes, fixtures and colors that make this house reflect their style and become the perfect new home for their family.